Project implemented for the Białowieża National Park, which consist of touch table and motion sensor games. Some games have been designed as multiplayer, some require dexterity, but most importantly, they provide fun and education at the same time. 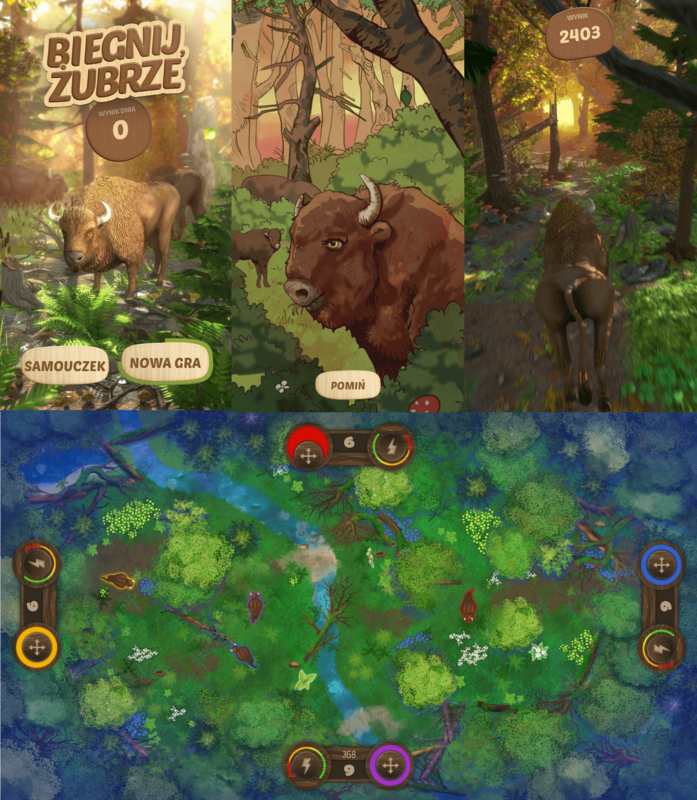 The games have been designed and are used to broaden knowledge about the region, bounded with the most iconic recognisable and stunning animal of Białowieża – bison. Everything has been prepared in a consistent graphic style that fits in and draws on regional characteristics. In order to gain a unique experience, we used Kinect devices, multi-touch tables and the most modern software solutions. Delighting graphics drawing from the regional style. The most modern technological solutions used to get a unique experience.